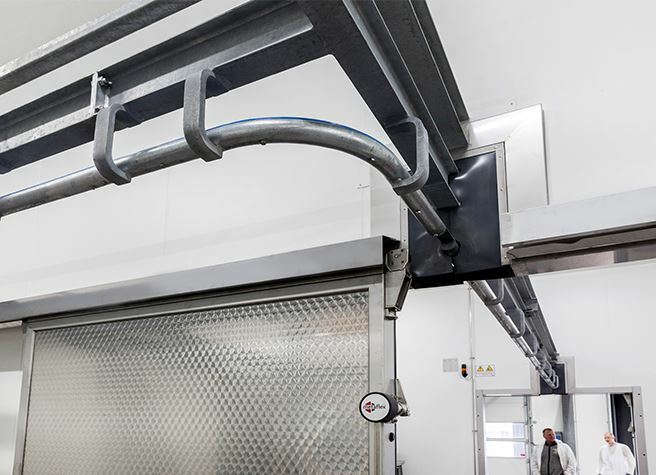 Kouwenhoven Meat is a family business specialized in beef processing. 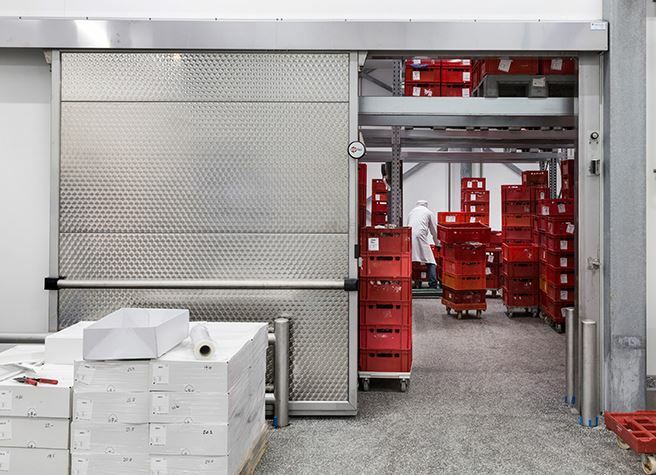 Since 1969 Kouwenhoven Meat was located in Amsterdam. 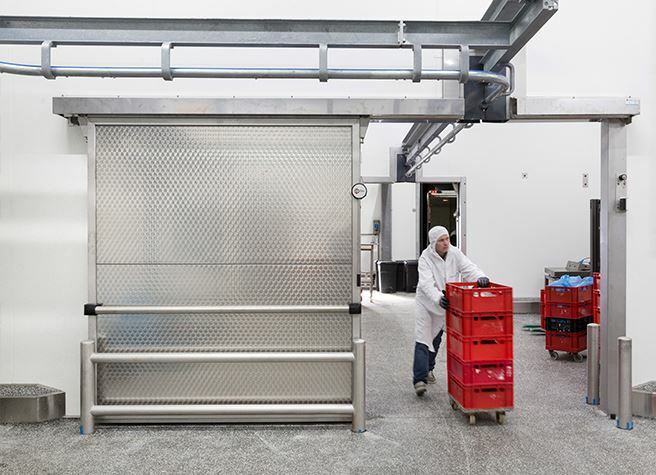 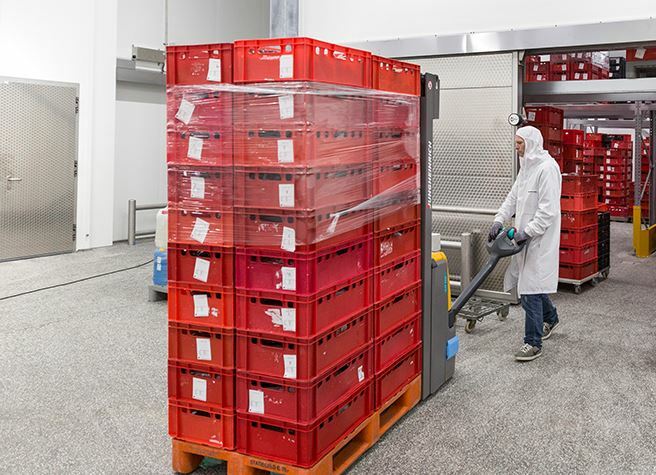 Because of accessibility issues Kouwenhoven Meat decided to build a new building in Almere. 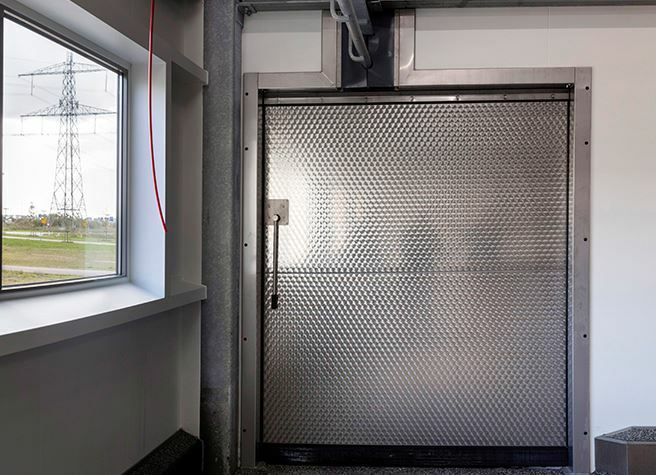 This project is provided with Metaflex door systems on special request of the user. 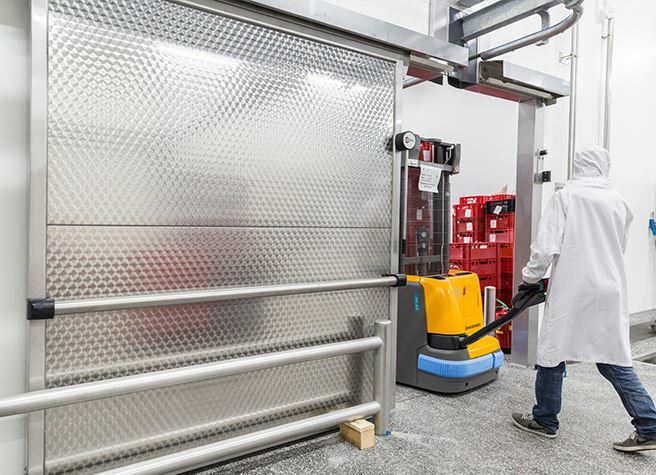 Metaflex searched, in cooperation with Inoflex and the user, for the best solutions for this specific project. 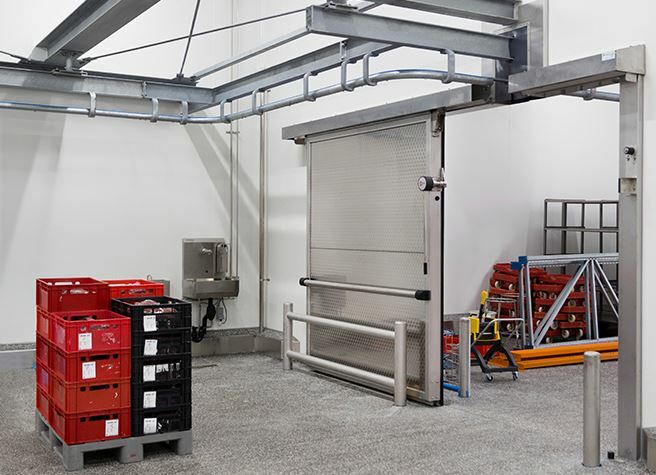 The beef goes by rails through the building with different conditioned areas. 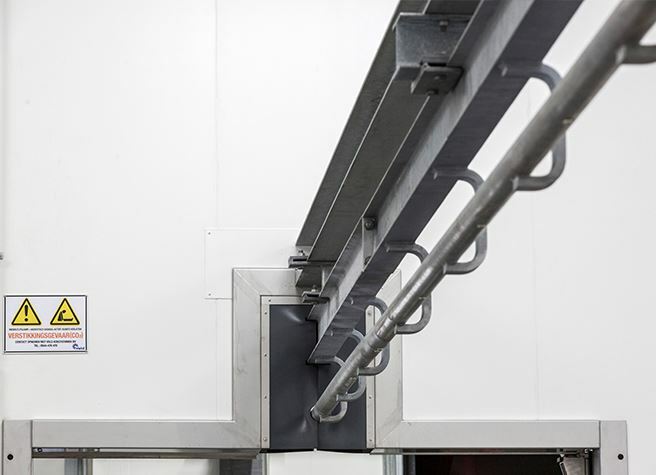 Metaflex has years of experience in combining rails with door systems. 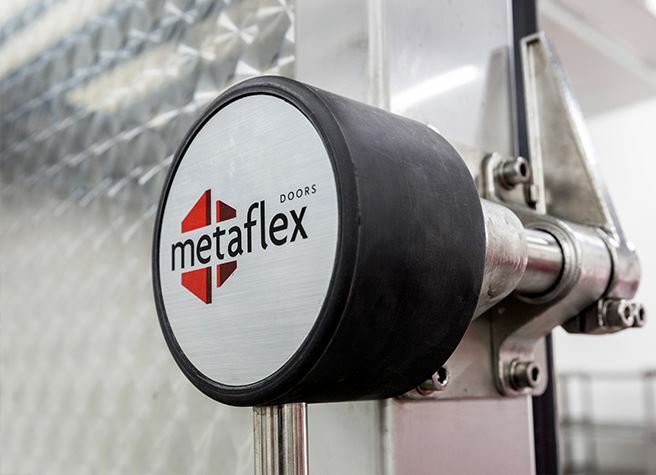 Metaflex designed tailor made door systems which provides efficient logistics and minimization of leaking conditioned air. 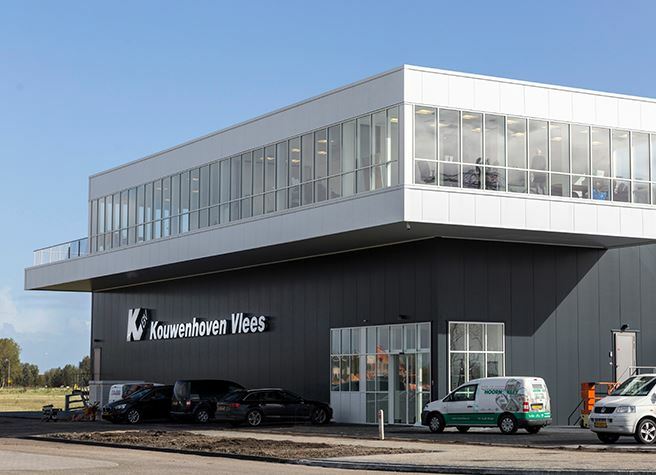 Kouwenhoven Vlees further chose to equip some door systems with a lock to improve the security in building. 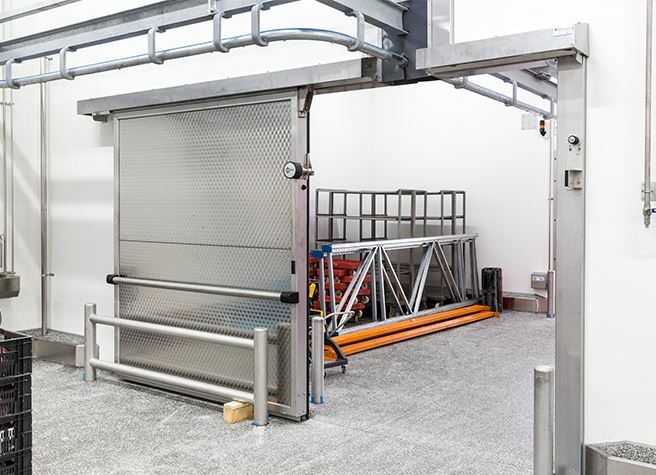 Because of the locking system, unauthorized persons can’t go to restricted areas.